Smoke and soot are some of the most penetrating smells. Once they are absorbed, they are hard to eliminate. The following tips can help get rid of the smell and damage caused by a minor home fire. Step 1 – Open windows and doors to allow the house to ventilate, increase a fresh air flow by using fans. To prevent the distribution of soot and smoke turn off your HVAC. Step 2 – Protect yourself by wearing a mask or respirator, gloves, and eye protection, as well as long sleeves and pants. Cover or remove all undamaged furniture and household items from the room, as well as floors. Remember to prevent spreading of stains by sealing off undamaged rooms and taking off shoes when moving around the house. Step 3 – Vacuum all loose soot particles using the brush attachment and avoid scrubbing as this can worsen stains. Step 4 – Use a dry-cleaning sponge to wipe all stains and lift soot from walls. 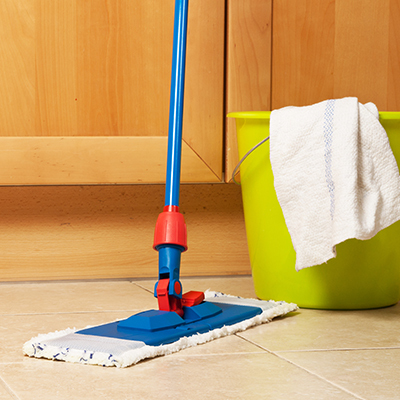 Use wiping motions, as scrubbing can spread stains and work them deeper into surfaces. Switch sides and sponges multiple times to ensure a clean sponge as stains are lifted. Do not use water before this step as it can spread soot and make it impossible to clean the stains. Step 5 – Use a rag to wipe down surfaces using commercial soot remover, rubbing alcohol or white vinegar. Clean room thoroughly and wipe down all surfaces, even those surfaces that don’t look like they were damaged. Step 6 – Prepare a dish soap solution, containing six tablespoons soap per gallon of water. Apply solution on rag or sponge and wash brick with wiping motions. The dirty rag should be rinsed often and dipped in the soap solution. Repeat Step 5 and 6 as needed and finish off wiping walls with fresh water. Step 7 – Dry all surfaces with a clean rag and let walls dry completely. Even after the cleaning processes, the smell of smoke might still be present. Consider throwing away items, which easily absorb smells and professionally clean carpets as well as furniture and curtains. Change all HVAC filters and increase the overall fresh air flow in impacted rooms. Your professional fire restoration partner can help you with the restoration of your home and can provide additional tips how to eliminate the smell of soot and smoke in your home. 3 Steps for Cleaning Smoke Damaged Electronics	Home Inventory Lists – A Must Do!